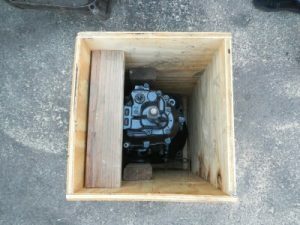 We ship engines all across the U.S. you need to have confidence in your product to ship outside of your neighborhood. We have been shipping engines for years. We go through an online shipping broker to give everyone the best price available. When we ship the engine it will be on a pallet, we wrap it in visqueen strap the engine to the pallet using steel strapping. So the engine will not move anywhere during transportation. Then we build a box around the engine and strap it to the pallet so in transit it will have less chance of damage. In the box you find an envelope with your receipt, warranty, a guide to help check your parts before assembly. Stickers, business cards, free shirt (if you can remind me) and all of the gaskets and seals needed to assemble the engine. We like to include a free tank or tee shirt white or black with every order. The sizes we normally have are M, L, XL and XXL. If there is anything that I have forgot just Call us. We will walk you through whatever you need help with for shipping, it’s real easy just 2 minutes. I am not too sure if anyone else that sells engines give free tech support while assembling their engine, we do. Just give us a call. WE SHIP EVERYWHERE IN THE US! Engines are shipped on a pallet. There’s a $100 pallet packing charge. Most orders leave the same day. We found that this is the easiest way to ship the IRS type transmission. These ship through ground instead of freight. They fit very snug, so there’s no movement during shipping. 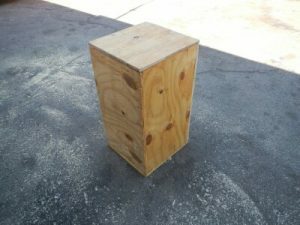 You can also use the same crate to return your core.